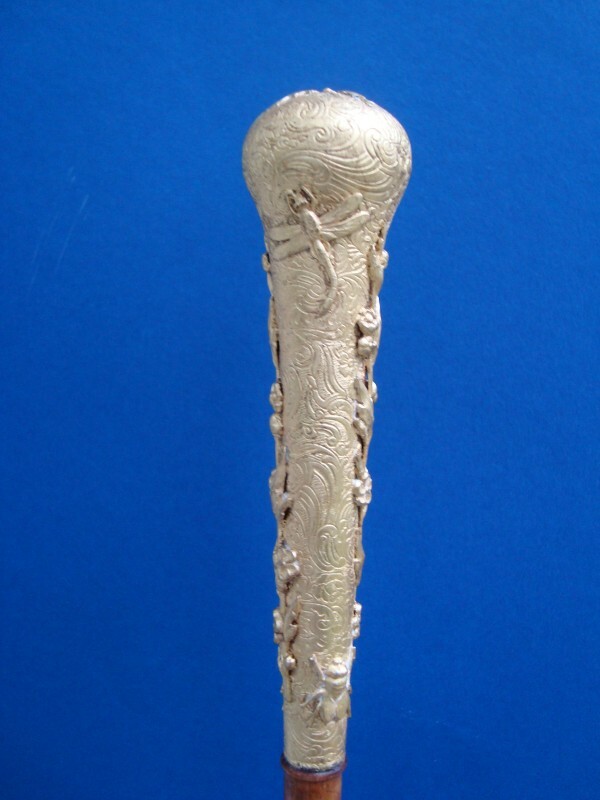 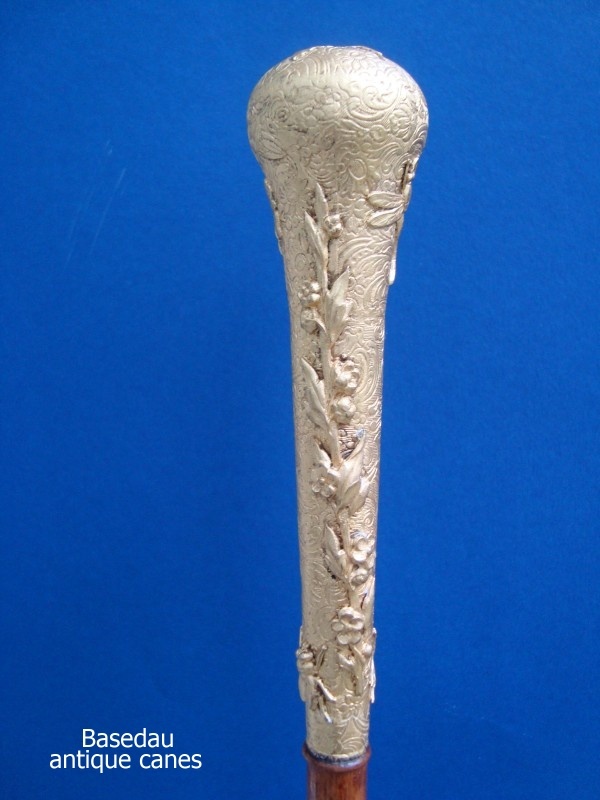 Walking cane with a long metal gildet knob late 19th century. 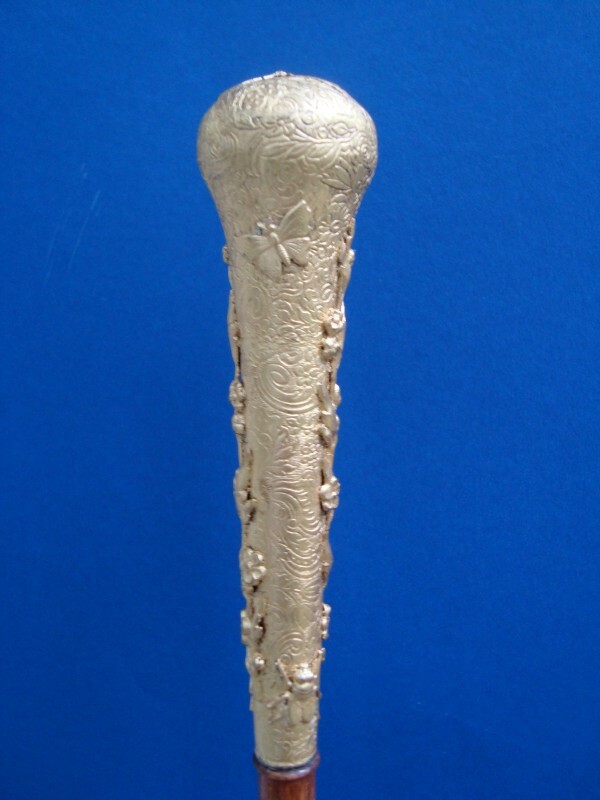 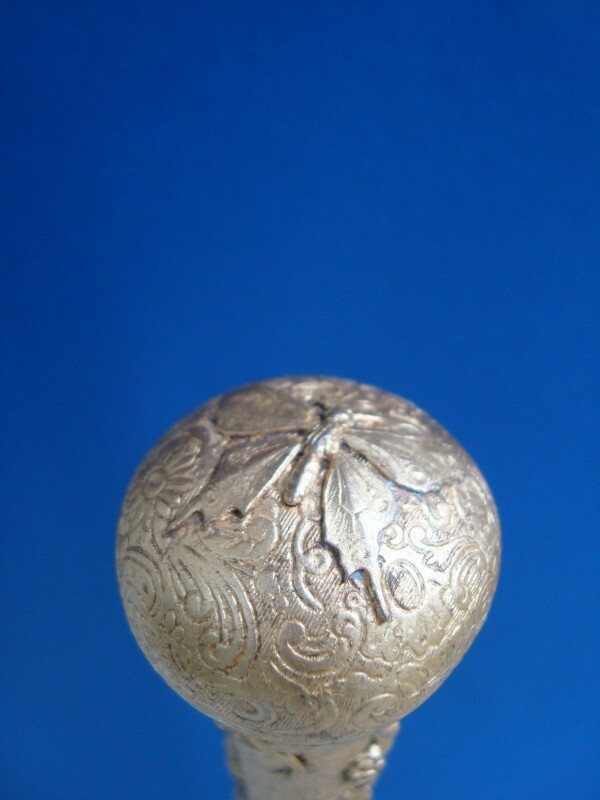 The knob is engraved in style of the rococo with with scrolls and blossoms put on floral vines, bees and butterflys. 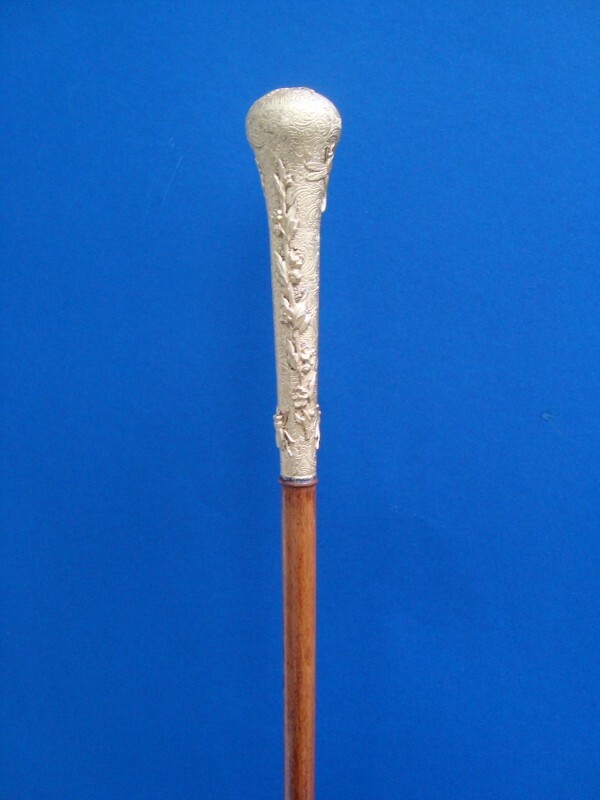 The knob is fitted on a light brown wood with a brass ferrule. 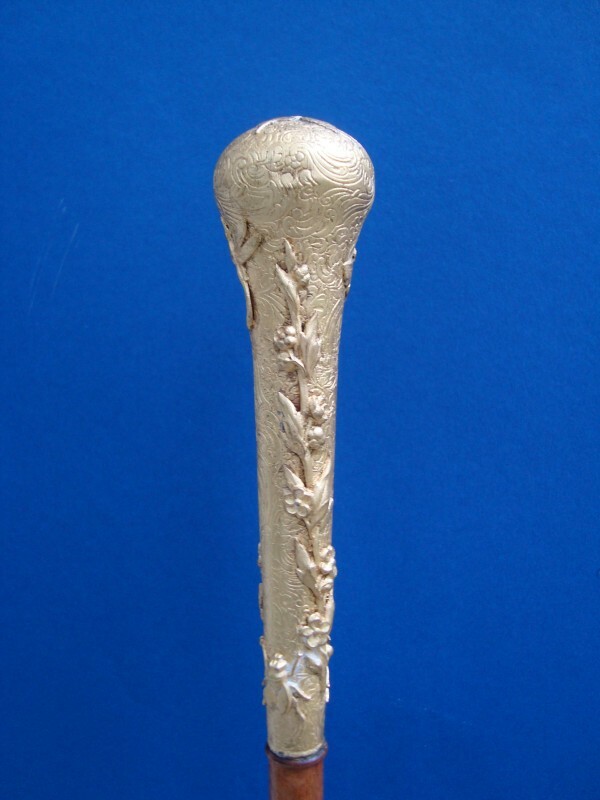 Length of the knob 14 cm, 5,5 “, overall length 96 cm, 37,7”.